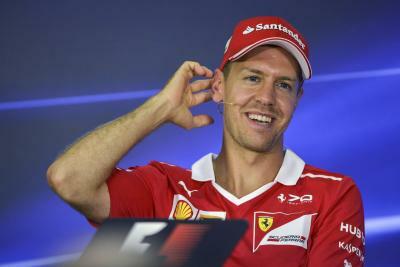 Washington, Oct 23 (IANS) Ferrari’s Sebastian Vettel led the opening five laps of the Formula 1 United States Grand Prix, but it was Mercedes’ Lewis Hamilton, who went on to dominate the race, winning by 10 seconds with a time of one hour 33 minutes and 50.991 seconds. Vettel’s teammate Kimi Raikkonen clinched third after a last-lap pass on him by Red Bull’s Max Verstappen was deemed illegal. The result, on Sunday, means Mercedes secure the 2017 constructors’ crown, but the drivers’ battle goes on to next weekend’s round in Mexico, reports Xinhua news agency. “I want to say a big congratulation to the team. Everyone’s worked so hard back at the factory to come from one era into a new era. It’s hard to fight a team like Ferrari and keep getting stronger through the year. That’s a great feeling and I hope everyone back at the factory is feeling the same way,” said the 32-year-old Hamilton. The result also means that just fifth place in Mexico will be enough for Hamilton to clinch the 2017 drivers’ title, regardless of where Vettel finishes. “I plan on winning that one. I think the Ferraris will be quite quick there. I don’t know how we will do at that track. I think they might have the upper hand, but we’ll see,” said Hamilton. It was Hamilton’s fourth consecutive win at the Circuit of the Americas and fifth since 2012. His ninth win of the season also opened a 66-point lead on Vettel with three races left. While mathematically still possible, Vettel’s title hopes are nearly wiped out. “I don’t let my mind go there. Three races to go, three races to win,” Hamilton said.